As we move toward a more connected, ‘smarter’ world through wireless network technology, the challenge is to achieve the standardisation of this technology. The unification is necessary to improve a pure user experience regarding the product choice, set-up, and operation, including the interoperation of products from different manufacturers. These are essential ingredients for consumers’ confidence and acceptance. The smart home gadgets are the visible part of the system, but there is a high-tech story behind, connecting them all and making the whole smart world work. ZigBee is a home automation protocol which was originally invented for the use in Personal Area Networks (PAN). It is the low-cost, low-energy and highly compatible platform that is widely used, and if you have a smart device, then it’s very likely that you are using this protocol whether you know it or not. The whole system of ZigBee is quite complicated, but let’s see in simple terms what is it that makes this protocol advanced compared to the others and places it ahead of them all! At first, there were Bluetooth and Wi-Fi, who have established themselves as standards in the device-to-device and high-data-rate domains, such as video and audio streaming, but the low-power, low-data-rate domain of monitoring and control remained open at the time. However, they were not suitable for some applications, and many engineers saw a need for self-organising ad-hoc digital radio networks. So, in 1998 the ZigBee-style networks began to be created. The name of this technology derives from a process found in nature. When honey bees fly back to their beehive they perform the so-called waggle dance which the name ZigBee refers to. The ZigBee Alliance is a consortium of over 300 tech companies that drive and regulate the development of this home automation standard. The IEEE 802.15.4 standard, on which the ZigBee protocol is based, was completed in May 2003. At that time, Philips Semiconductors was a major mesh network supporter, but they ceased its investment. Luckily, Philips Lighting has continued Philips’ participation in the project, and Philips remained a promoter member on the ZigBee Alliance Board of Directors. So, as the protocol was increasing, the same was the ZigBee Alliance – in 2004 it doubled in a number of member companies – it had grown to more than 100 members in 22 countries. The doubling growth of the Alliance continued in 2005 as well. The ZigBee specifications were ratified in December 2004 and publicly available in June 2005, known as the ZigBee 2004 Specification. The next version, known as the ZigBee 2006 Specification was completed and released for immediate member availability in September 2006. Later, in the last quarter of 2007, ZigBee PRO, the enhanced ZigBee specification was finalised and published. connect wirelessly in the same network. That means that you can connect different devices made by various manufacturers and make them work together. 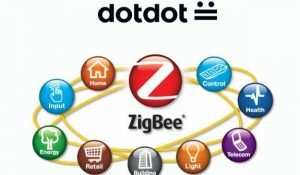 Recently, the ZigBee Alliance has released “Dotdot” – a program which will extend interoperability technology beyond ZigBee. Dotdot, a universal language for the internet of things, lets smart gadgets work together on any network, unlocking new markets for members and unifying the fragmented Internet of Things. Like Z-Wave, it uses low power radio frequency communication which results in long battery lives for ZigBee using devices. The protocol is based on the IEEE 802.15.4 standard and is widely considered as an alternative to Bluetooth and Wi-Fi. At least for applications where the amount of transferred data is relatively low since its data rates vary from 20 kbit/s (868 MHz band) to 250 kbit/s (2.4 GHz band). ZigBee devices can communicate over a range of about 250 feet (76m) and therefore exceed even Bluetooth specifications regarding range but at the cost of Bandwidth. 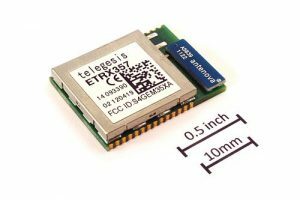 Bluetooth can transmit packages at the speed of up to 1 MBit/s. ZigBee supports up to 65000 nodes per network. The discovery of the devices happens via Unicast or Broadcast. Another similarity to Z-Wave is the support of a mesh network which enables the expansion of the network across multiple wireless nodes that strengthen the signal and increase the reachable area while making the communication even more stable and reliable. But what does it mean? There are several topologies in which connecting can work. 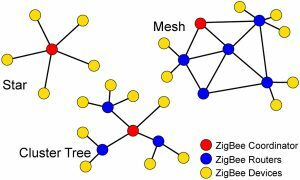 However, the most commonly used configurations are the star, cluster tree and mesh topologies, and ZigBee supports all three of them. There are three types of different devices in a typical ZigBee infrastructure. The topologies are based on the layout of the coordinator, router and end devices. The coordinator is the root of the network and might also be a bridge to other networks. The platform requires only one coordinator in each network since it is the device that started the system initially. The router runs an application function, and it can act as an intermediate router, passing data among devices. End devices are smart gadgets. They contain enough functionality to talk to the coordinator or a router. On the scheme below different topologies are presented, so it will be clear to you what the star, cluster tree and mesh topologies mean. The ZigBee network can be beacon and non-beacon-enabled. In beacon-enabled networks, the ZigBee routers transmit periodic beacons (signals) to confirm their presence to other network nodes (devices). Nodes may sleep between beacons, and lower their duty cycle and extending their battery life. The thermostats are an excellent example of the beacon devices. They send the signal when the temperature or the programme changes, but in between, there is no signal sent. In non-beacon-enabled networks the routers have their receivers permanently active, requiring a more robust power supply. The protocol works with both kinds of networks, so there is no need to plan which one you will use. All these features enable the ZigBee platform to work with a wide range of users such as Amazon, Comcast, Honeywell, Huawei, Philips, SmartThings, Texas Instruments, Belkin, Ikea, Lutron, Nokia, Osram, Bosch, Indesit, Samsung, Velux, Humax, Panasonic, Miele and others. Also, numerous devices such as light switches and lighting systems, plugs, door locks and controllers, doorbells, alarms, shades and window controllers, thermostats and heating pumps are compatible. Manufacturers of smart home devices that use the ZigBee standard are targeting convenience at the expense of security. Many companies open up a significant vulnerability with ZigBee, by connecting smart home devices, that could allow hackers to take over your smart devices. And that could be a problem if you confide in things like a smart alarm system or a connected door lock for home security. Since its beginning, the ZigBee Alliance has permanently followed up security trends in the industry and worked with researchers to stay ahead of rising threats. The ZigBee protocol is secure and stable, which is one of the reasons why it has become one of the world’s most widely adopted protocols. It uses many layers of security mechanisms such as AES-128 encryption (commercial, government and military-grade encryption used throughout the Internet), network and device keys as well as frame counters. Besides, the ZigBee Health Care standard has specific security features for rapid key generation and distribution suitable for medical environments providing integrity and privacy. As the ZigBee protocol implements state-of-the-art security tools, the Alliance allows its member companies to create some of the most secure IOT wireless devices. The ZigBee Alliance is continually expanding its security options to stay ahead of ever-growing threats, and we welcome this type of inquiry as an open standards community. No other solution currently offers an equal security system. ZigBee and WiFi channels both work in the 2.4 GHz band, existing in the same frequency space, so their operating on the same frequency, might cause them to interfere with each other. Usually, the ZigBee network will have the dominance. That is why, when using both systems in the same environments, channel planning is the key for peaceful coexistence. Usually, you get three WiFi channels to work with (exploiting 1, 6, and 11), but to make space for ZigBee, we may have to give up one of these channels. When you use your AP’s around the house, you’ll want to keep the same channel access points far enough away from each other, to avoid the interference. This creates a two-channel usage plan, which isn’t as efficient as a three-channel plan, but it will work to make room for the ZigBee channel. The same planning you will have to do with neighbours, who have their wireless networks, which have unpredictable channels. Here planning might be a bit more complicated as you will have to identify what channel they are using, choose the available one for your network and perform testing to check how your ZigBee channel works, and then use the ZigBee networks on channels that don’t receive interference from your or the neighbours’ WiFi. technology. Its features such as the low cost, low power usage and the mesh networking place it at the top of the networking systems and provide high reliability and a broad range of usage. This technology is beneficial regarding security aspects, as well. Each technology cycle is tested by the Alliance members, evaluated and fine-tuned, and also in early 2017 the future pathway with Dotdot – the universal language of the IoT – was unveiled. 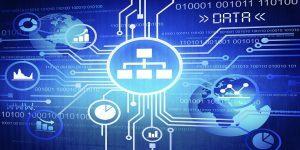 This open technology can be applied across other IoT networks. It offers developers flexibility and speed in building their business and products and makes ‘smart’ interactions work for everyone as it enables connected objects to speak to each other across any wireless network running in the home, building or neighbourhood. Hundreds of companies have already joined the ZigBee Alliance, and it is still globally progressing. 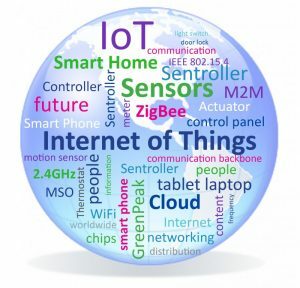 ZigBee is a growing technology together with the advanced technologies like 5G and Internet of Things. With the higher demand for smart home applications, healthcare, smart city and smart lighting, ZigBee will inevitably inject power into the future smart world. December 2018, Updates and Edits: Previous version of the article is expanded with chapters History, How does it work, Security, ZigBee and WiFi Coexistence, and What will the future bring? Wanting to update from old X-10 system. Are any components of X-10 useable with this Zibbee system.